Diagnosing TBI and PTSD may be less challenging, according to the findings of a new study, our Portland personal injury lawyer explains. Here’s a look at this study. Sleeping problems, depression, irritability and difficulty concentrating are among the symptoms of traumatic brain injuries (TBIs). They also are symptomatic of post-traumatic stress disorder (PTSD). In fact, when patients have TBIs, PTSD or both conditions, diagnosing the exact condition is usually very challenging for medical professionals, given that the symptoms of these conditions are so similar. What can make matters worse is that the treatments for PTSD can harm those with TBIs (and vice versa), making a proper, early diagnosis critical to these patients. These issues may not be problematic for much longer, however, as researchers at Vanderbilt University have reportedly found a better way to differentiate TBIs from PTSD. According to these researchers, scanning patients’ brains using SPECT (single-photon emission computer tomography) can provide a clear picture of which condition patients are suffering from by measuring how the blood flows – or doesn’t flow – to certain areas of the brain. 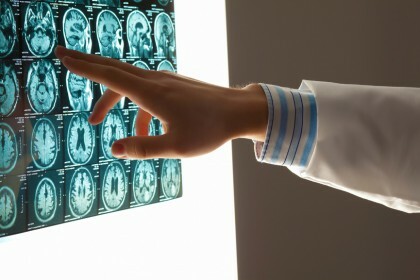 TBI patients’ scans displayed less activity in the areas of the brain that govern mood, memory, coordination, behavior and self-control – These areas of the brain included the cerebellum, the temporal lobes and the prefrontal cortex. PTSD patients’ scans indicated the opposite phenomenon, with more activity in the areas of the brain govern perception, fear, emotions and information processing – These regions of the brain included all of those mentioned above, as well as the limbic system and the basal ganglia. Diagnosis and treatment for PTSD and TBI [are] often based on symptom clusters, and difficulties in differentiating between these brain disorders often arise due to the symptom overlap… Functional neuroimaging with SPECT may hold the key to differentiating these disorders effectively, eliminating the reliance on self-report data, diagnosis based on symptom clusters, and challenges to diagnosis… The results of this work offers help to vulnerable populations who suffer from PTSD and TBI — such as veterans — demonstrating that functional neuroimaging offers targeted care and the potential for improved outcomes. What do think about this study? Do you know anyone living with PTSD and/or TBI who experienced difficulties getting a proper diagnosis? We want to hear from you – share your thoughts with us on Facebook & Google+. If you or someone you love has sustained a brain injury – or any injury – due to another’s negligence, contact a Portland personal injury lawyer at the Savage Law Firm for experienced help and aggressive legal advocacy. Since 1977, our lawyers have been devoted to providing each of our clients with personal attention, respect and the highest quality legal services.